If we have not told you before, we are telling you now: we are living differently in Dallas. Baby boomers are leaving their large homes, shedding the most square footage consumption in the history of the world. No other generation has lived in such grand homes as have the Boomers. And when it comes time to exit those grand homes for downsized living, many living “the transition” are not sure that they want to buy a condo. They love the concept of less maintenance, smaller living spaces, and reduced clutter, but fear they may miss a home. 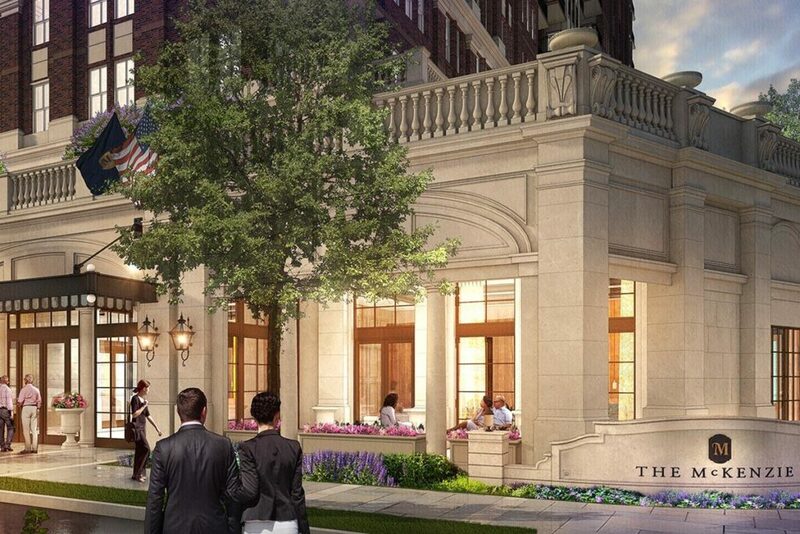 Enter the McKenzie, a new truly luxury apartment complex by StreetLights Residential that will be the first truly luxury high rise apartment in North Texas. The building will be complete this summer, but leases have already been signed, including one for a penthouse apartment. More evidence of the red-hotness of the real estate market in North Texas. 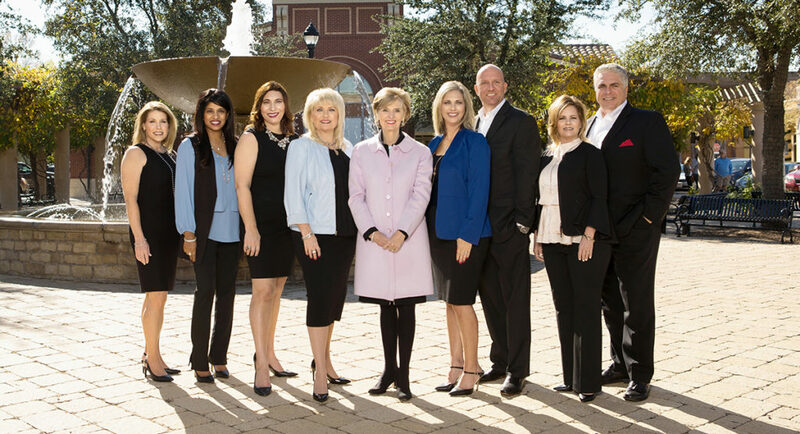 For the first time, Dallas-based Allie Beth Allman & Associates is expanding out of the city and out of the county, to head into the lucrative but competitive Southlake, Colleyville, Grapevine, Keller, Trophy Club and Westlake real estate markets. Comes word Monday that Allman & Associates is leasing offices in the new Granite Place building at Southlake Town Square. The 14-year-old real estate firm plans to serve those aforementioned markets from the new location. 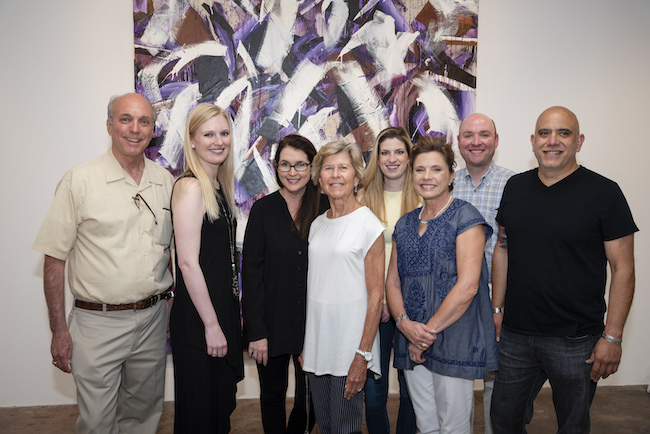 “It’s near the hotel where everyone stays when they come to Southlake looking for a home,” says the firms’ namesake, Allie Beth Allman. Veteran sales groups will be heading the new office: Dona Robinson and Wynne More are bringing two seasoned sales groups to the new location. 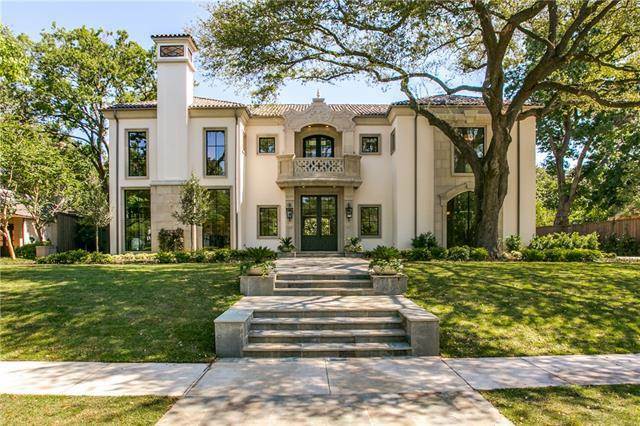 This is a significant move and attention alert to the two other major Dallas real estate players in Southlake: Ebby Halliday, with a 12,000 square foot new Southlake office that opened and upgraded in 2014, and Briggs Freeman Sothebys, who has had a Southlake office for several years. 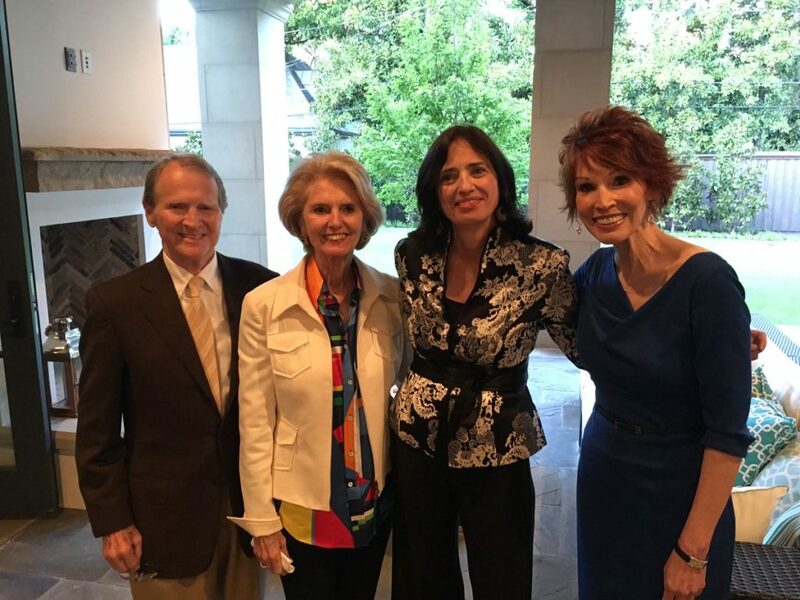 Dona, Wynne and John Martini moved to ABA from Briggs Freeman Sothebys’ Southlake office. Clearly, the leading Dallas companies want a piece of the North Texas suburban pie and they are getting it. The other significance of this move is that Allie Beth Allman sold to Berkshire Hathaway about two years ago. When a brokerage is sold, savvy buyers dole out the cash over a contracted period of time with certain stipulations designed to retain top producers in house. Allie Beth is getting straight “A’s” in this department: not only is she retaining top agents, others are signing on. That has not been the case with other recent brokerage sales where acquisitions have left agents feeling like, in one agents’ word, “we went to sleep at Neimans and woke up at Walmart”. The prospect of expansion was mentioned back when the Berkshire deal was consummated. I have no doubt we will see more Allie Beth Allman offices across the ponds west, north, and east. Update 12:00 pm: this item has been updated to reflect today is not Father’s Day, it is next Sunday: we are getting a head start! 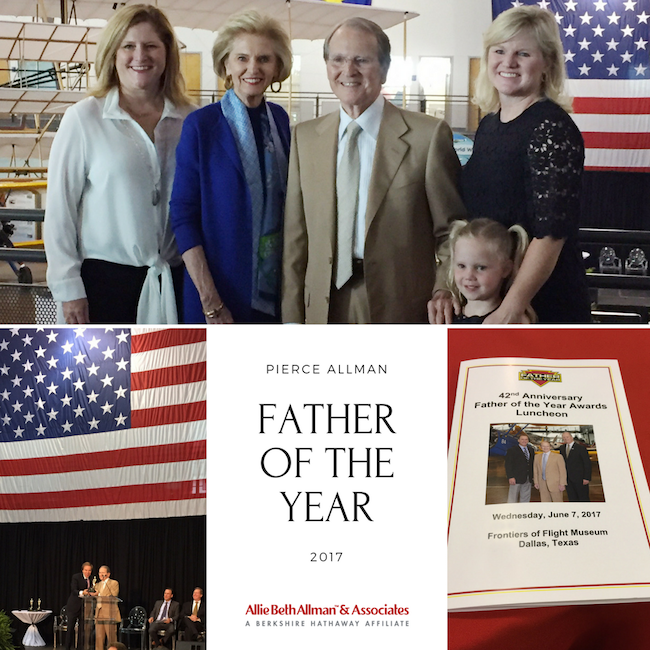 Our own Pierce Allman was named Father of the Year at the 42nd Anniversary Father of the Year Awards Luncheon this past week, one of three to receive the honor. The luncheon was held at the Frontiers of Flight Museum on Wednesday, June 7. In a tradition dating back to 1976, three outstanding Dallas dads were honored, as they have been each year: John B. Poston, President, Daymark Living and Robert L. (Bob) Walker, President/CEO, Texas Scottish Rite Hospital for Children. Each year since its inception in the ’70s, the tradition of celebrating exceptional Dallas fathers accomplishments and generosity take place at this annual luncheon. The Father of the Year Awards has grown from a modest event raising a few hundred dollars to an annual celebration of fatherhood, raising over $4 million and benefiting more than 75 local charities. Recipients are selected as stellar examples of commitment to family and community. The Father of the Year Awards committee traditionally supports honoree’s charities. One of Pierce’s cherished charities is the S.M. Wright Foundation, with its work benefitting children through its Beds for Kids Program and the Education Center. The luncheon also benefitted LaunchAbility, the Texas Scottish Rite Hospital for Children, the Father of the Year Scholarship Fund and the Sylvan Landau Founders Scholarship providing college funding for young adults seeking the skills they need to make a difference in their communities as they build their own future. Celebrating with Pierce was his wife of over 50 years, Allie Beth Allman; his children, Amy Allman-Dean and Margaret Allman-Cowan; along with his youngest grandchild, Cora Elizabeth Dean. Other grandchildren sent their love and well wishes in a heartfelt video that was played at the event. His speech was so tender, beginning with the touching story of how he rushed Allie Beth to the hospital when she was in labor. Unfortunately, not all labors proceed without complications. For a bit, Pierce was scared to death he could lose both mother and baby. But his fear turned to sheer delight and overwhelming excitement when the physicians saved both baby and mother. (Gotta love those Ob/Gyns!) He purely described the awe and great responsibility he felt that day, something every father feels in the delivery room when handed a new bundle of love. Pierce vowed to be the best dad ever, though he was still not sure what that entailed. The most amazing story ran on WFAA-TV Wednesday night by Shelly Slater on our treasured Allie Beth Allman and her personal secret: Allie Beth has battled dyslexia all her life. But it sure hasn’t stopped her. 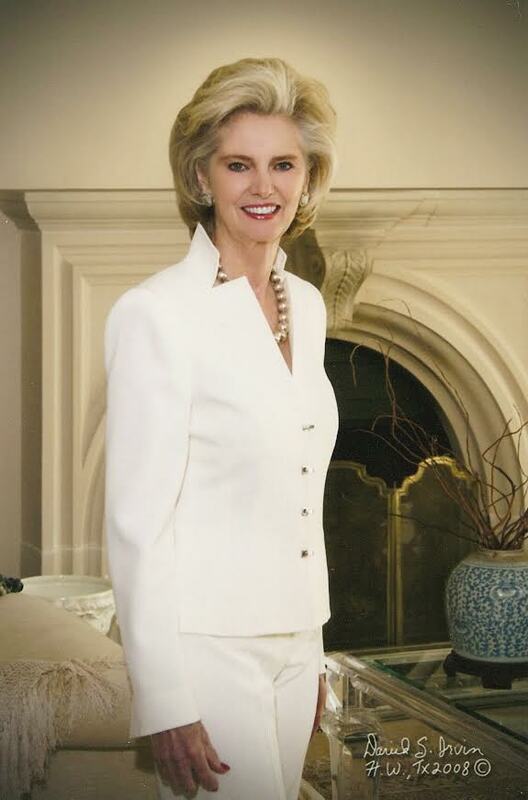 She is an icon in Dallas Real Estate, buying and selling homes to top movers and shakers including the biggest sale in Dallas, to George and Laura Bush on Daria Drive when they left the White House and returned to Dallas. We have profiled Allie Beth Allman, of course, who once actually worked for WFAA-TV, always focusing on her dynamic real estate career. I had heard about her dyslexia, but she has now come forward publicly because she has teamed up with the Barbara Bush Foundation for Literacy. “I’ll flip through and if there is something about a client, a former client, or potential client I will cut that,” said Pierce Allman during a morning debrief. Allman reads to his wife, Allie Beth, for good reason. “He knows what I can’t do but he doesn’t dwell on it,” Allie Beth said. Allie Beth & Pierce Allman are co-chairs for the 15th annual Celebration of Reading Dallas/Fort Worth, coming up on October 24.